To register a custom domain for your Blog.com blog, you’ll need to acquire the Blog on Your Domain premium feature in the Upgrades section of your blog’s dashboard. 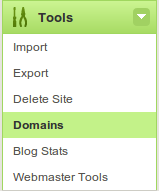 Then, head up to Tools → Domain Management in your blog’s dashboard. Start by searching the domain to see if it’s available. Bare in mind that only .com, .net or .org domains are eligible for registration (other extensions can be used as mapped domain). If the domain is available for registration, you’ll see the message below. To proceed, hit the Register Domain button. On the next page, you’ll be asked to provide your personal information to register the domain. While we do not verify the accuracy of the information on this page, you should be careful that it contains no errors. In some jurisdictions it is illegal to provide false identification information for domain registration, and in every case false domain information may lead to invalidation of the registration and forfeiture of the domain registration fees. Please take into account that this information will be publicly accessible, and associated with your domain. Here’s an example of how this form should be filled. Once you’re finished, hit the Save Changes button. Your custom domain name should take a couple of hours to be fully activated, but once the DNS is fully propagated, you should be able to see your blog when you access your custom domain name in your browser. You can use a domain you already own and map it to your blog. To do this, you’ll need to acquire the Blog on Your Domain premium feature in the Upgrades section of your blog’s dashboard. Start by entering the name of the domain you purchased. You’ll see a red alert at the top of the screen saying Sorry, someone already registered the domain, but that’s ok (this is you). Continue by clicking on the Map Domain button. You’ll then be given two option to map your domain. If you’re not too certain, choose the basic one. Under this solution, you will need to change the nameservers of your domain to Blog.com. We’ll be authorised to manage everything from then on, so this requires no more changes by you. After you have changed the nameservers, it may take several hours for the update to take effect. If it still doesn’t work, try one of these solutions. The interface to execute this operation differs between registrars, so we are unable to provide more detailed instructions. If you encounter any problem, please contact the registrar support services. It may be useful to copy this page contents and paste them on the support request. If you have services other than site hosting on the domain, you will need to configure them on Blog.com’s domain management interface. Under the more complicated advanced mapping, you will redirect to us only the subdomain for your blog. You will have to repeat this process if you add, remove or edit subdomains for blogs under this domain. We recommend the “Basic Mapping” above, but if you are comfortable managing your DNS at its current provider, you will be fine using Advanced Mapping. Usually, your DNS provider is the same site where you registered your domain (the domain registrar). Login, and using their DNS management interface,create an A record, pointing your domain ‘mydomain.org’ to ‘195.170.168.1’. After you have changed the nameservers, it may take several hours for the update to take effect. Once it is updated, your blog will be visible at http://mydomain.org/. If it still doesn’t work, try again this page, which will check the settings and report any configuration errors it finds. A CNAME record is an entry within the Domain Name System (DNS) that specifies where a user can find your web pages, or any other URL. You’ll use this to associate your custom domain with your blog. After registering your domain, decide if you want to use a particular subdomain for your blog. E.g. instead of www.mydomain.com you could use something like blog.mydomain.com, if you want. 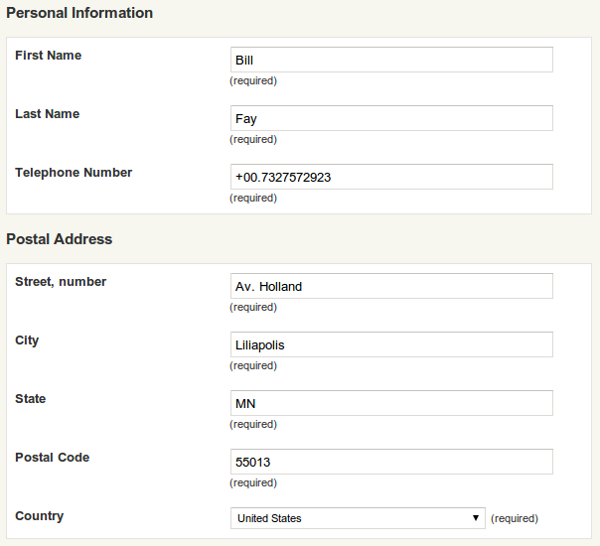 Then you’ll create a corresponding CNAME record for that address, associating it with your blog domain, e.g. our.blog.com. +–What is a custom domain name? Free accounts have an URL like ilovemyblog.blog.com. With the custom domain upgrade, you’ll be able to have a .com , .net or .org domain of your choice. Using the example above, you will be able to have your blog showing at ilovemyblog.com! +–Can I use more than one domain? +–My domain is not active yet! Currently, when you have a custom domain, both blog.com and the new domain will work. That’s to ensure that if there’s sometyhing wrong with your custom domain you still have access to your blog through the regular URL. The new domain will be indexed in all the search engines, and so, the custom domain will start to be more visible than the .blog.com one.